It's been on my Las Vegas bucket list now for years to eat at Joel Robuchon's restaurant at MGM Grand. My husband never wanted to try the degustation 16 course dinner so I knew that like e' at Jaleo I would eventually have to go with a friend to this restaurant, so I was thrilled when Noleman told me had comps to burn on his June Vegas trip and invited me to be his guest! 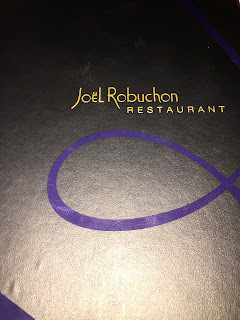 It got even better when I found out that Joel Robuchon now had other options then their four hour plus 16 course dinner! In addition to the degustation 16 course dinner there are now four different prix fixe menus to select from called "Choix Des Plats De Menu Express" which means you might be able to get a quick dinner under 3 hours! 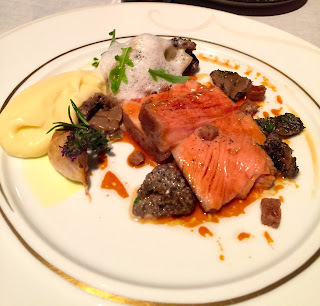 The prices for these dinners before drinks, tax and service start at $127.00 per person, then $169.00, $198.00 and $250.00 per person which compared to the $445.00 per person for the degustation gives you plenty of food to taste at this 3 star Michelin restaurant at a more reasonable price point. In the past Joel Robuchon's restaurant would send a limo to bring their guests to the restaurant but this has recently been discontinued (it's possible this is only temporary so check with them when you make your reservation) so Noleman and I met up in the MGM Grand Casino prior to our reservation. This was the first time Noleman and I had met in person. Some ladies I know had met Noleman at a past message board Meet and told me I would enjoy his company and I liked his sense of humor on the boards so I was looking forward to his company at dinner and I guess Noleman felt from reading the blog that he would enjoy mine. The restaurant seated us immediately in their smaller dining area with the living wall. The restaurant might call this something else, but living wall works for me. From our table we could look into the main dining room which is intimate and elegant but I preferred our smaller room. The moment we set down we were greeted, and the first amuse was set out which had quinoa in it. I'm not sure what else, but I did like it. Drink orders were taken and we were given time to decide which prix fixe we would like. Both Noleman and I decided to do two appetizers, a main and dessert which was the $198.00 per person option. Calling all bread lovers this is your restaurant! They come around with a bread cart with about twenty choices or more! Noleman went with a baguette and I had the brioche with gruyere, there was also a second type of cheese roll that wasn't soft. Both of us had the bacon roll, don't miss that! There's a second cart (see photo above) where they carve butter off a huge mound and I believe they said was it was hand churned from Brittany, France. They finish the butter off with a sprinkle of fleur de sel. There's also a special olive oil from Spain that they place on the table. The second amuse was a delicious strawberry tomato gazpacho with cheese, pistachio and a drizzle of balsamic. My bread selections, brioche with gruyere, and the bacon rolls. Both Noleman and I had Le Homard for our first appetizer which is Maine lobster in thinly sliced turnip with a sweet and sour dressing. I loved this appetizer and would have gladly had it as my second one too. Below is Noleman's entree. My bad because I can't recall what it was! I had the Le Black Cod in Malabar pepper sauce with bok choy. It was very good but I wouldn't say it was the best black cod entree I have ever eaten. The best for me was at Alain Ducasse's Mix restaurant which closed last year. A signature side dish of Joel Robuchon is his mashed potatoes. They were creamy and delicious and tasted like they had more butter then potatoes in them! Noleman ordered the chocolate shuffle for dessert and it looked great! For my dessert it was the lemon sugar sphere which looked like a glass sculpture of a lemon! 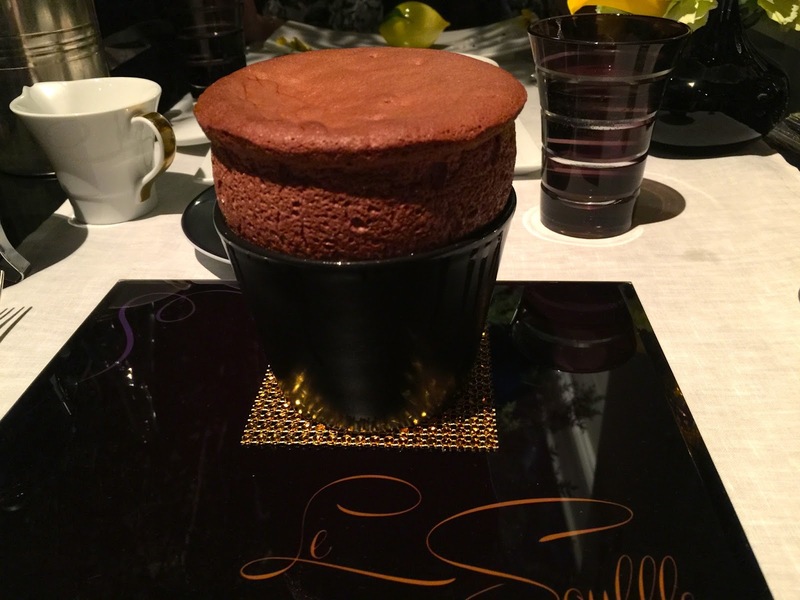 It was filled with lemon sorbet and surrounded by a wonderful panna cotta! This desert was a stand out and tasted as good as it looked! After our desserts they came with the mignardises cart, translation seductive sweets and they were! I was handed a tiny lollipop that unfortunately I forgot to take a photo of before I ate it! 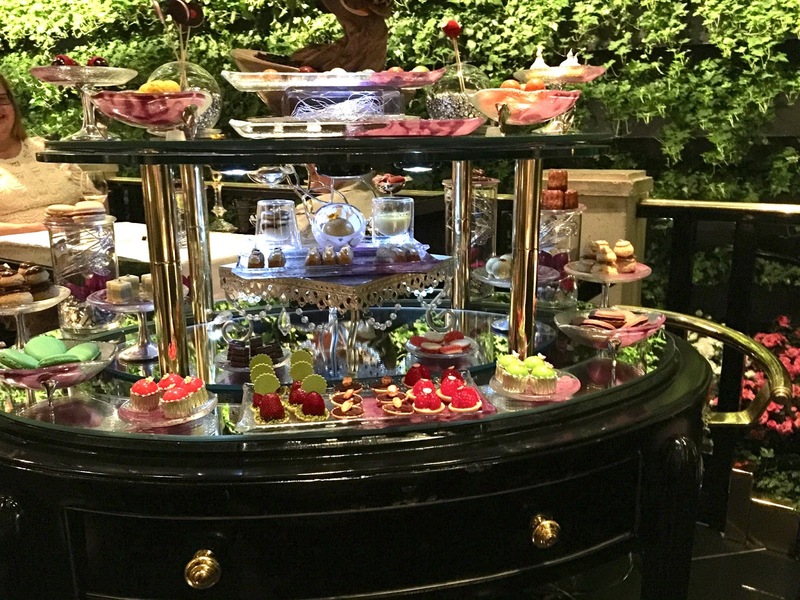 The cart has a huge variety of miniature desserts and candies. We shared a modest selection of sweets since we were full but apparently not so full we couldn't eat a few more sweets! I loved the ladybug chocolate tart! At the end of the evening they presented us with a pound cake stuffed with fruit which Noleman insisted I take. 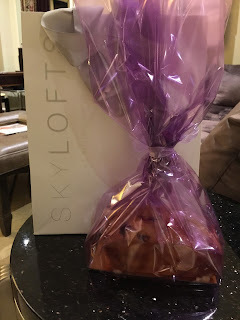 I tried it the next day and it was delicious, easily the best pound cake I have ever eaten! So, how was service? Noleman and I really hit it off, we had so much to talk about and were switching subjects so quickly that we could hardly break off to talk to the servers when they came around, so service was just right for us that evening. However in hindsight if you aren't with company having a lively conversation, service might seem a bit slow. We only had one service issue during dinner and that was at the end when I asked to see the list for the dessert ports and the sommelier didn't make it to our table until after we had finished all desserts, which at that point I declined the port. Michelin rated this restaurant 3 stars but I've also been told that was back in 2009, the last time they reviewed Las Vegas Restaurants. I'm not sure if they would still get the 3 star rating today or if they would perhaps lose a star. I do know that I enjoyed my food and would return here to eat when I have a large MGM resort credit, but wouldn't go out of my way to return if not using comps. 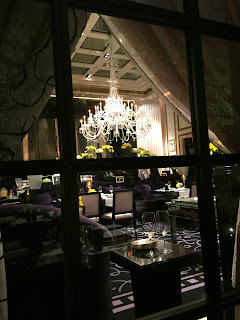 On the other hand perhaps I would if I was celebrating a special occasion where I required a quiet elegant setting with good service and food, then this would be one of my top choices as other fine dining options in Vegas tend to be noisy. 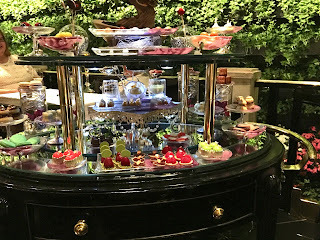 Also the fantastic bread and dessert cart here are something you won't find any place else in Vegas, so it's worth experiencing if it fits your budget! OMG!! !-What a lovely dinner!!! Thank you for a very informative report! !-It is now on my bucket list! !-this September trip is getting "dinner heavy"!!!!!! Thanks Diana,for your great read!! All good wishes,Chriss in UK. Hi Chris, thanks for letting me know you enjoyed it. So many great places to eat in Las Vegas. I know what ever you select in September will be wonderful and I'll be following along on Facebook! Lovely food report as usual - it does look very nice. I'll add it to the short list for next year! Mark, I loved the original movie of Charlie and the Chocolate Factory with Gene Wilder and I would love to see the musical. 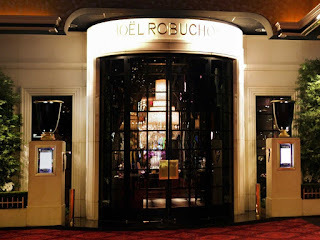 I'm sure you and Andrea will have a wonderful evening dining at L'Atelier de Joel Robuchon and then on to the theatre! In addition to the Joel Robuchon I ate at, they have a restaurant next door also called L'Atelier, you might have to do a comparison between the UK and the Vegas restaurant next year! Have a fabulous birthday and I look forward to hearing about L'Atelier and the musical! I'm feeling better but still a bit sick, been over 2 weeks now and really hoping it doesn't return in full force on my birthday Vegas trip. .
Diana, thanks for this write-up. I've stayed at MGM Grand more times than I can count and never considered eating at this place! I think the first time I walked by it I saw "L'Atelier by Joel Robuchon" and l'atelier means artist's workshop, so I thought it was maybe cooking classes lol. This looks like it would be a good place to celebrate a birthday for a foodie! Thanks Tim, it's definitely a good place to celebrate a special occasion. 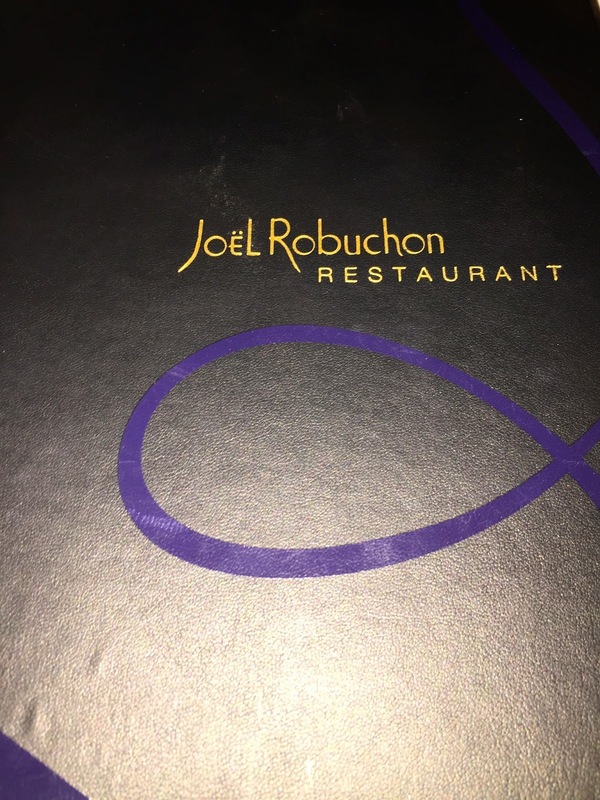 There's actually 2 restaurants by Joel Robuchon next to each other. There's the more casual L'Atelier which I haven't eaten at yet, and this one. I might have to add L'Atelier now to my bucket list too. Glad you liked the review and especially happy to hear you enjoyed your dining experience at e at Jaleo! Hope you enjoy both ShakeShack and Joel Robuchon's restaurant next year! I just want to say thank you for helping me get free g2e passes. Earlier this year I messaged you on here inquiring how to get access and you told me to sign up with the Video King email subscription. I recently just registered for free through them and will be attending my first G2E this year! I have been dreaming of this moment for over 3 years! Do you have any tips for a first timer? I'm glad you got your free passes to G2e! The first day of the expo is very busy, but if the crowds get too much for you the 2nd day is much less crowded and by the 3rd and last day it's really easy to get a good luck at the new slots. If you are on one of the newest slots that everyone is excited about it's possible that one of the booths attendants might ask you go give up your spot so they can demo it to a casino executive. This is normal so don't be concerned if it happens to you. Photos and vids are allowed from the main walk ways in the exhibit hall, however within the booths you must have permission to take photos or vids, or else security will be on you about it. Keep a eye out for give aways like t-shirts and other little items, they make nice keep sakes. Thank you so much for the tips! I seriously cannot wait. Is food and or alcohol served or allowed on the exhibit floor? Also we will be staying at the Cosmo during our 4 day trip. Any chance I will run into you, Brent or Sdguy? I would love to get a picture with my 3 favorite youtube celebrities! There is food and alcohol served on the exhibit floor both for sale and some complimentary at some booths. I can't recall if folks walk around eating and drinking but there are lounge and eating areas set up. Hi Jason, I have lost on all days of the week so I don't have a favorite day. I have seen jackpots hit at all the casinos on the strip and also had days where I couldn't seem to win anything at any casino, it seems mainly to be a matter of luck and timing, though some of us have favorite slots that seem to hit more frequently for us then others. I will say that I seldom get lucky at Wynn on the penny slots but I have friends who play $1 and higher VP or slots at Wynn and sometimes get very lucky there. I seldom win at any of the Harrahs (CET) total rewards properties but it might be me. I have gotten lucky at Cosmo and was actually ahead with that casino for a few years until last year. Lately it's been hard for me to win there. I do like the slot selection a lot at Venetian and Palazzo, and sometimes I win and sometimes I lose, though usually more losing then winning because well they are slots, LOL! I like Aria a lot and had some good wins there in the past and broke even on my May trip there this year. Also Aria allows us to record our slot bonuses so I like that. Not sure if any of this is helpful but I wish you good luck on your trip and lots of fun!